Inbound Marketing Has Passed Its Expiration Date – What Now? Two-year-old Facebook decided to open itself up to non-students. Jack Dorsey launched a new service called Twitter. Instagram was still four years off. And in 2006 the Internet had one-sixth as many domains as today, and tens of billions of fewer pages (if the concept of a “page” is even relevant anymore, given personalization. Amazon doesn’t have one homepage, it has hundreds of millions of personalized homepages). 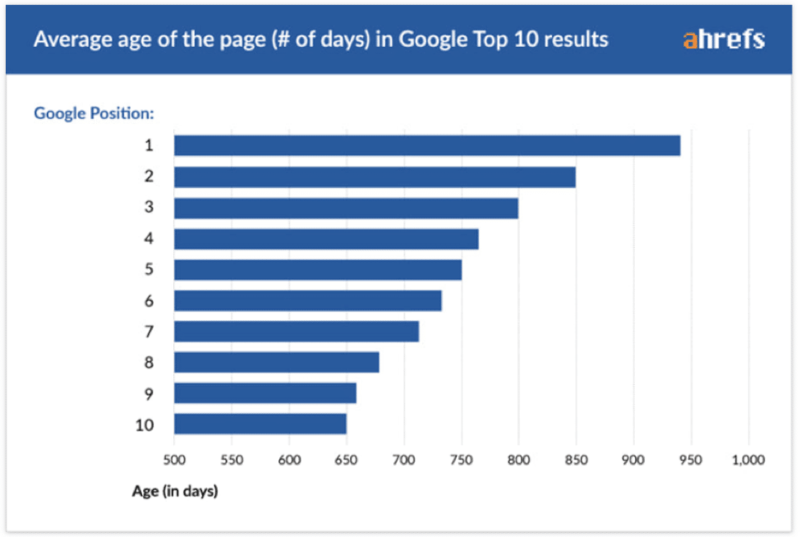 Since 2006, Google has radically changed how it indexes the rapidly growing set of web pages, both through thousands of almost-daily incremental tweaks to their algorithm, and dozens of named updates. As early as 2009, its “Vince” update favored “first page rankings for big brand domains vs. previously ranking sites.” That trend would continue. Today, over half of organic search clicks occur on just the first three links on the Google search results page. And the odds of anyone other than an industry leader gaining one of those spots is very low. Last year Ahrefs published a study of page one links. It found that only 5% of new content even makes it to page one after a year, let alone to a coveted top-three spot. Most of those top links are two to three years old. But despite these fundamental changes to the size of the Internet and how Google ranks content, the basic concept of inbound marketing has changed little in the twelve years since HubSpot Co-founder and CEO, Brian Halligan, formulated it. The overarching goal is to create useful or entertaining content that people will discover and share, bringing new contacts and leads to your company. You can then nurture and eventually sell to them. This was in opposition to outbound or “interruption” marketing, especially advertising. You can see, the impact of this changed landscape, even on HubSpot, which puts a primary emphasis on inbound marketing. As I wrote last year, HubSpot’s customer acquisition cost has more than doubled in just five years. They need hundreds of new contacts to generate one new customer. That inefficiency is not unusual for large-scale inbound programs. In the past, HubSpot stated, “If you have more money than brains, you should focus on outbound marketing. But if you have more brains than money, you should focus on inbound marketing.” That was before they had spent hundreds of millions of dollars on creating their own inbound program. So unless (1) you’re in a brand new field in which very little content has been produced, (2) your company possesses high domain authority in its industry, or (3) you’re one of the 1% of startups with substantial VC backing and can afford a very large scale content program, your chance of getting high search rankings for anything except the searches far down the long tail are low. Actually, HubSpot has been quietly trying to define away from inbound marketing. Last year HubSpot announced that it now considers remarketing to be part of inbound (this is odd because if there’s one kind of advertising – regardless of its effectiveness – that people say especially annoys them, it’s remarketing). Maybe he is trying to break the news gently, but for the vast majority of companies, the shade is almost completely closed on what is traditionally and commonly thought of as inbound marketing. The whole inbound/outbound dichotomy is now dated and useless. It’s time to put a stake in it. We need something new and useful. In working with companies of all sizes and in many industries, from startups to the Global 2000, I noticed how popular approaches like inbound marketing and organic social media weren’t producing results. In response, I developed a low-risk marketing approach that prioritizes quick wins. This approach can produce results in weeks or a few months, instead of the years often necessary for inbound or social media to have a business impact. I call it Bullseye Marketing. 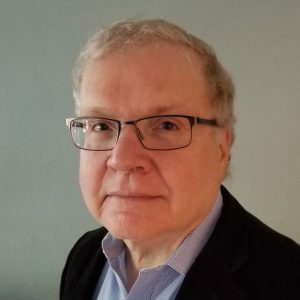 Bullseye Marketing may not be especially useful for companies with mature, omni-channel marketing programs, or venture-backed startups with a large war chest and an experienced marketing team. But it should be very useful for the 99% of startups without large VC funding and the 80% or more of established companies that do very little marketing. Companies need to gain a deeper understanding of their customers. To do this, they need to undertake listening conversations – ones in which they are not trying to sell anything, but are only asking questions and listening. When doing these for clients, I invariably learn things that are very surprising to the owners and CEOs. Startups, too, need to have dozens of conversations with potential customers, even during their earliest product development work. Use the information that you learn from customers to create a superior customer experience. Startups (Uber and Slack) and established companies (Amazon, Apple, USAA) that provide superior customer experience, grow faster. But in Forrester’s annual survey from 2017, which includes tens of thousands of customers, they found a decline in customer experience across 314 brands. The opportunity is there. Focus more on customer success, retention and growth than customer acquisition. Acquiring new customers is usually five to twenty-five times more expensive than retaining and growing existing ones. Startups can’t do this, because they don’t have customers to retain and grow, but they can build customer success and retention into their culture from day one, as Salesforce did. Startups should actually over-deliver on attention and service to their first customers in a way that is not scalable, but provides the company with critical information and advocates. Websites, whether for established companies or startups, need to provide clear and compelling messaging. As a result of unclear branding or positioning, or internal fights over homepage space, the message is often muddled and ineffective. 99.9% of the people who visit most sites come and go without leaving a trace. The business has no idea who they are, or what they want. Often this is because the company has no goal for its website beyond being a dynamic brochure. Companies can inexpensively gain more contacts and leads with clear calls to action and offers (sign up for our webinar, download our free white paper, get 10% off on your first purchase, start a free trial, etc.) and prominent design elements that encourage site visitors to use them. It’s also a great way to build your email list. Email marketing is the 800-pound gorilla of digital marketing. In most surveys, when marketers are asked to rank their most effective marketing channels, they typically put email marketing in the top one or two spots. And it is very inexpensive: companies can email a list of 10,000 people multiple times a month for less than $100. Companies can also upload their email lists to inexpensively target ads on such platforms as Facebook and LinkedIn. Typically, messages seen on multiple platforms are more effective than if they’re only seen on one. Remarketing is the marketing tactic that people love to hate. But it’s highly effective because you’re only advertising to people who already know you and cared enough to recently visit your website. And you can personalize the ads to the specific products and services that they are interested in. Combined with emails and those targeted social media ads, remarketing can inexpensively provide a third way to reinforce your message with the people on your email lists. Account-based Marketing (ABM). ABM requires tight collaboration between sales and marketing. When that is achieved, ABM can be highly effective in both growing existing accounts and landing new ones. Direct Sales. This tactic is often how startups have to acquire their first customers. Close collaboration between sales and marketing is crucial to making this successful. Implementing these Phase 1 programs is typically fast and inexpensive. It costs nothing besides time listening to your customers, sales and marketing alignment, building out an email marketing program, implementing compelling calls to actions or establishing a remarketing strategy. Simple tactics can double or triple your website leads in a few weeks. 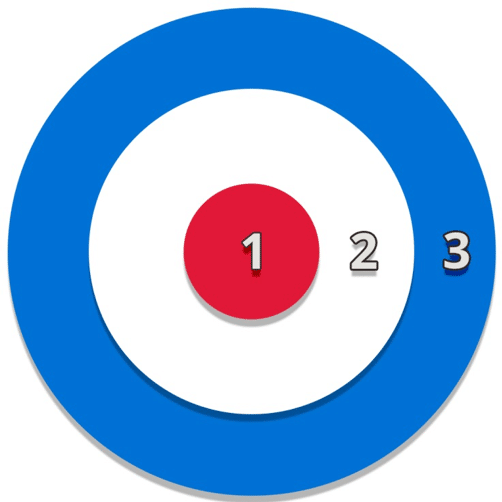 These center-of-the-Bullseye programs establish a foundation for success in Phases 2 and 3. Jumping to those programs without doing Phase 1 would be like trying to fill a bucket that’s full of holes. Your market is smaller than you think. Whether selling to consumers or other companies, it won’t matter if they’re a good demographic and psychographic fit if they aren’t in the market to buy soon. Whether you’re a startup or established firm, companies can be more efficient and profitable if they focus on those potential customers who are likely to buy soon. Virtually everyone these days, even executives, start their buying process with online searches. Search ads tied to certain keyword phrases are likely to target people and companies who are in market. While content marketing may take a couple of years to produce results, a search ad program can be started in an hour or so. Companies can monitor surges in interest in their content by people and companies – such as visits to their website and opens and shares of their emails – that can indicate buying intent. Some third-party vendors, such as TechTarget, Bombora, and The Big Willow, aggregate intent data across many industry sites and use it to identify companies that are in market now, and then sell those names to vendors. In the third phase, companies use programs like social media, content, display ads and events to build their brand and awareness of their offerings. These programs can take two or three years to produce meaningful results, but in the long run, the inbound leads that they develop often close at a higher rate than any, except for those from current customers. Unfortunately, programs like social media and content marketing are so identified with marketing that many companies new to marketing start with them when trying to ramp up their programs. Companies that start with these outer-ring programs are unlikely to see a fast return. After six months or so they may say, “We knew marketing didn’t work for us,” and pull the plug. By starting in the center of the Bullseye, startups and established companies can score quick wins with a small investment, build credibility and buy-in, and establish a foundation for long-term marketing success and business growth.